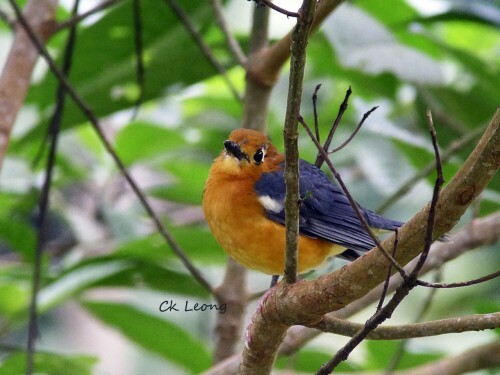 I took this photo of the Orange-headed Thrush Zoothera citrina on May earlier this year on the ground of the Rafflesia Information Centre along the Tambunan Road. 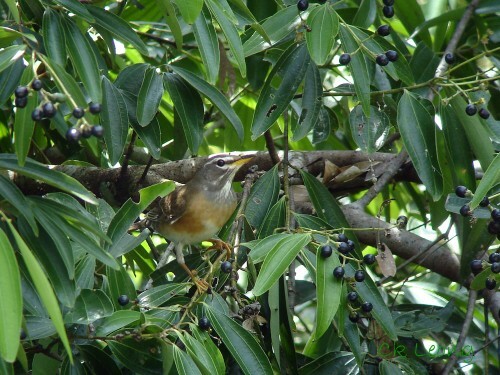 It was perched on a low branch on a smallish plant, probably in between feeding forays. Since then I have been told it is dead, another victim of window collision. Much have been said about birds and the dangers posed by transparent glass used in many buildings. Most birds can perform incredible flight manoeuvres but none can detect transparent or reflective glass. Sad. 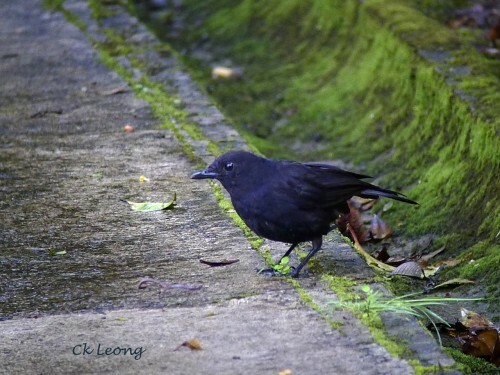 The endemic Bornean Whistling-thrush Myophonus borneensis is a common bird around the rocky streams of Mt Kinabalu and other mountains. With its high pitched whistle and frequent display of its fan tail, you would have little trouble to id this bird. Two weeks now and the fruiting at the cinnamon trees at Poring is still attracting loads of birds. This visiting Eyebrowed Thrush Turdus obscurus displays the same hurried feeding as the locals. Okay he is forgiven, given that he has to make a long flight up north anytime now and is going to need bags of energy. A winter visitor! 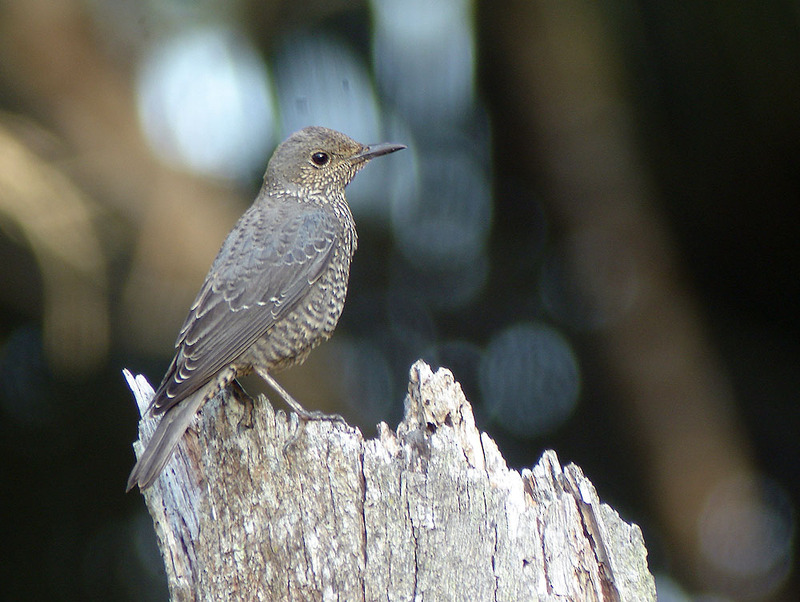 This Blue Rock Thrush Monticola solitarius was not at all worried by my presence when I chanced upon it last week. 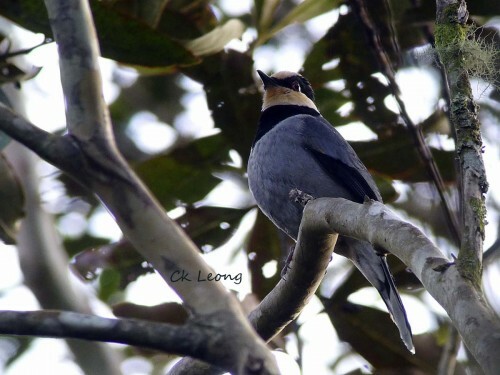 The bird is seen here almost every winter, preferring it seems, our western coastal areas. On all the previous occasions I have seen this bird, I never hear it call or make any kind of sound. This one was no different. Rather it was quite happy to make its presence known by perching on this tree stump. Good hunting!